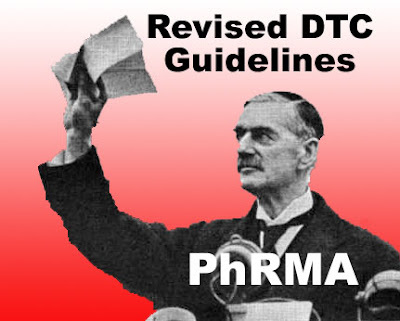 According to a story in AdvertisingAge, PhRMA's revisions of its DTC Guidelines are getting "less-than-encouraging reviews from some key legislators" (see "PhRMA Guideline Revisions Don't Go Far Enough for Legislators"). "On the one hand, PhRMA has taken our committee's concerns seriously by revising parts of their DTC code," said Rep. Bart Stupak, chairman of the committee's oversight and investigations panel. "On the other hand, some of these changes are merely a rewording of prior policy that does nothing to increase consumer protection." If the revisions were meant to APPEASE the legislators, then the endeavor failed and it appears that the pharmaceutical industry is in for some major policy changes in 2009. What's in store from Congress will be the focus of the article "The Changing Policy Landscape and What to Do About It" in the upcoming December 2008 issue of Pharma Marketing News. Subscribe now and get it free.